Optic neuritis is inflammation or swelling of the optic nerve which is the nerve supplying the eye from the brain that may cause complete or partial blindness. It destroys the outer lining or sheath of the nerve. Autoimmune disorders like Systemic Lupus Erythematosus. It affects young individuals predominantly in the age group of 30-35 years and females are more commonly affected then men. It is a self limiting disease and resolves on its own within 2-3 weeks unless the person is suffering from some auto-immune disorder like multiple sclerosis. 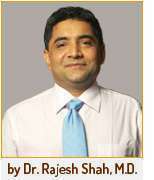 Homeopathy has good scope in cases with early diagnosis and can prevent blindness.